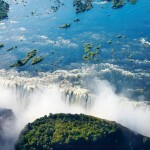 Botswana, one of the best travel destinations in Africa, combines a politically stable country and high standards of living with inviting locales and exciting attractions to invite travelers from all over the world. The Big Game Safaris are certainly the most popular and exhilarating thing to do in most African country, but Botswana takes its wildlife adventures to the next level. 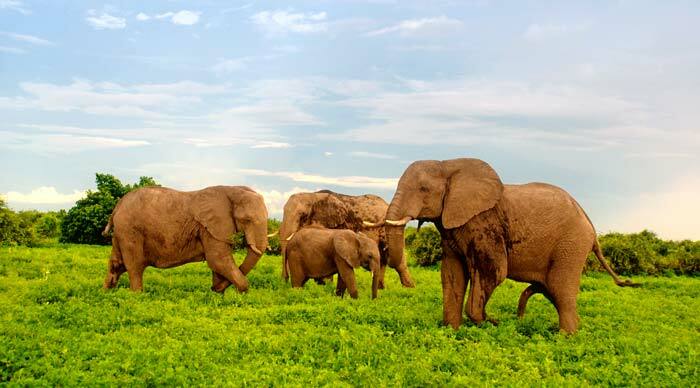 It has more elephants than any other country on the planet and is home to all kinds of species – right from rhinos and exotic birds to endangered wild dogs and aquatic antelopes. Put all this incredible wildlife together with picturesque landscapes, and you realize that Botswana is truly an extraordinary travel destination. Here are some of the best things to do in Botswana. Chobe National Park is one of the most spectacular wildlife destinations in Africa. Covering an area of 11000 sq. km., Chobe National Park is home to a humongous population of elephants. 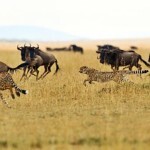 It emerged as the first national park of Botswana and is a major epicenter of the wildlife safaris in the country. 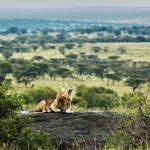 There are three wildlife-watching areas in Chobe – the Chobe Riverfront, Liyanti Marshes and Savuti. Chobe Riverfront has the largest concentration of wildlife, while the Liyanti Marshes are famous for their rich concentration of predators. 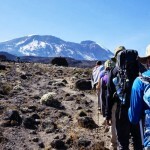 Sayuti is more remote and soulful and perfect for those wanting to safaris with nothing but animals, plants and the stars for company. Gaborone, the capital of Botswana, was the setting for the popular TV series, The No. 1 Ladies’ Detective Agency. Needless to say, you can enjoy all kinds of tours in Gaborone that bring this Alexander McCall-Smith series to life. Explore locations such as Precious Ramotswe’s home in Zebra Drive as well as her office located opposite Speedy Motors. You can also visit her ancestral home in Machudi. 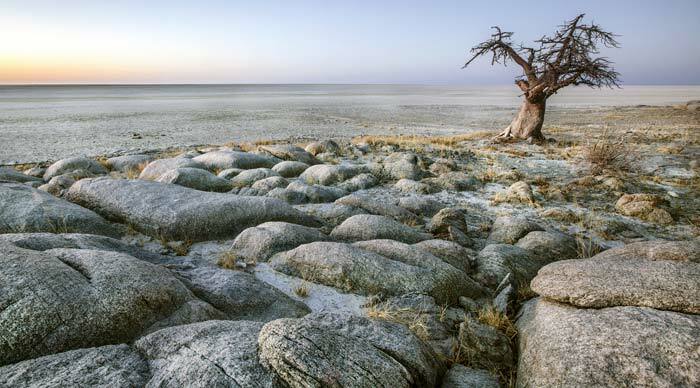 Kubu Island is a baobab-filled rock that is surrounded by an entire sea of salt. The land is named after the huge population of hippos that once lived in the area. Surprising as it might sound, this remote island was once inhabited by humans as well. The island now enjoys the status of a protected national monument and is most famous for its mysterious crescent-shaped stone wall, countless historical artifacts and natural beauty. Tsodilo Hills, the Louvre of the Desert, is considered to be sacred by the local Bushmen. It has been inhabited by humans for more than 100000 years and is decorated with all kinds of rock paintings. The beautiful artworks on display always tend to leave you spellbound and some of the rock paintings found here date back more than 20000 years! There are more than 400 sites here and 4500 different paintings. Most paintings depict traditional dances, hunting scenes and animals and a simple peek at these beautiful artworks can tend to make you forget all about Picasso and Matisse. 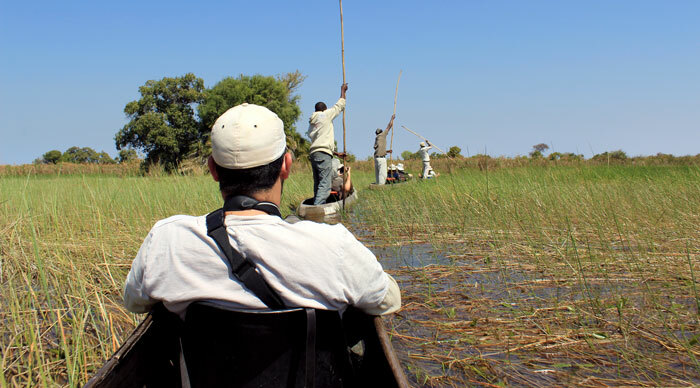 Rent a traditional canoe and float along the Okavango Delta to encounter some of the daily drama of Botswana’s wildlife. From the bone-chilling roar of lions to the hysterical laughter of the hyena, this is where you come close to all the crazy action from the jungles of Africa. The presence of all kinds of luxury lodges also makes the delta one of the most exclusive safari destinations on the continent. Bookmundi recommends you to spend a night in the inner delta as this is an experience that you’re sure to cherish throughout for your life. The Moremi Wildlife Reserve, the largest inland delta on the planet, is located in the center of Okavango Delta. The reserve covers an area of 3000 sq. km. and presents a range of habitats such as savannah woodlands, wetlands, floodplains and reed beds. Moremi Wildlife Reserve is full of exotic birds, the big five, wildebeests, giraffes and hippos and a number of lagoons that present perfect wildlife-watching opportunities. The Gewihaba Caverns are located among the vast sand dunes of the Kalahari Desert and are the perfect destination for adrenaline-junkies visiting Botswana. The caverns may be situated in a remote part of the country and are certainly not easy to get to, but they are certainly worth your while. The site features two storeys of caves that are linked by passageways and are home to breathtaking stalactites and stalagmites. Lake Ngami is famous as one of the most mysterious lakes on the planet due to the fact that it suddenly disappeared soon after it was discovered by Dr. David Livingstone in the year 1849, only to reappear towards the end of the 19th century. This pattern has continued over the years, and the lake reappeared once again in the year 2000. Home to all kinds of exotic birds such as ibises, pelicans, flamingos, terns, gulls, eagles, kingfishers and storks, this lake is perhaps the best destination for bird lovers visiting Botswana. And try to visit it while you still can, for who knows when it decides to disappear again! 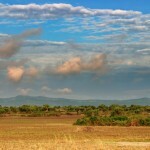 The Mashatu Game Reserve is an ideal place to enjoy a mountain biking experience. Take your time exploring the beautiful landscape, stop to watch elephants pass by and treat your camera lenses to some of the most beautiful photographs. You can also visit Serowe, a remote village that presents fascinating insights into the local culture. Bookmundi recommends you to enjoy a helicopter tour of the Mashatu Game Reserve to get a bird’s eye view of the area as well. The Central Kalahari is one of the most romantic landscapes on the planet. Visit the Kalahari and all you can see is vast tracts of sand, but the desert can hardly be termed as empty. Time your journeys right and you get to watch one of the most spectacular phenomenons of Mother Nature – the Zebra Migration. 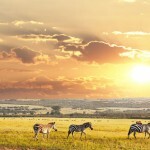 Each year, thousands of zebras move across the rolling plains and offer one of the most unforgettable sights. The ideal time to visit is between the months of December to April, when the migration is in full flow. 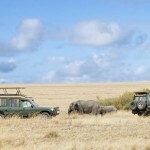 Large populations of elephants and big cats – two of the main attractions of any game drive. The Linyanti Wetlands are home to some of the very best African wildlife experiences and are famous as the ideal place for travelers wanting to spend a few nights camping in the desert amid exotic wildlife. The best time to visit the wetlands is between the months of July to October, when the weather is drier. Botswana presents so many things to do that it’s easy to feel lost while planning a trip to this memorable country. Bookmundi recommends you to base your trips around its breathtaking wildlife and spectacular national parks and add a few cities and towns into your itinerary to learn more about its lifestyle and culture. The ideal vacation is something that gives you the best of both worlds, so plan accordingly. And if you’re searching for some exciting tours to enjoy while in Botswana, we’re always here to seal the deal! We are a family of 10 people ranging in ages 5 to 70. We would like to visit Botswana and perhaps a few other nature and game forests between July 15 and August 15, 2019. We could do some camping and cooking in the open fire, but our old folks would like some comforts as well. Could you advise with a tour and a guide and cost etc.